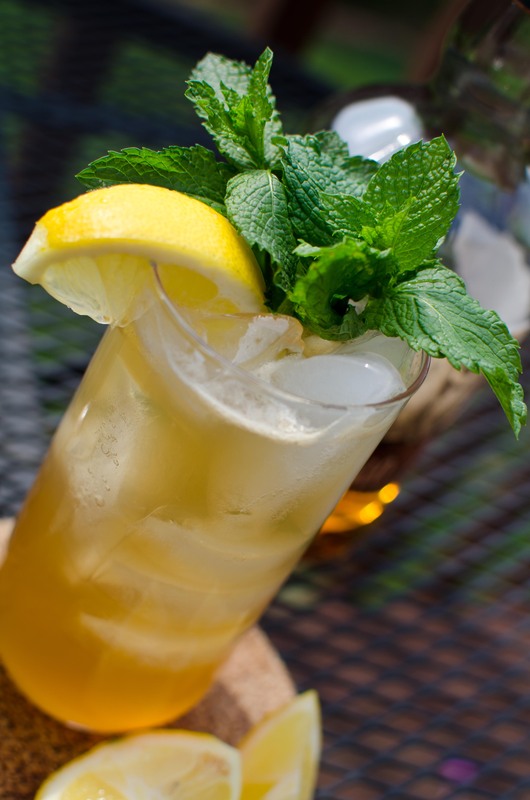 Here’s a drink dredged up from the pages of Southern Living. If memory serves, they were serving this at an Oyster Roast. Now, if it were me, I wouldn’t be mixing this drink when it’s 30-40 degrees out (well, 50 if you’re on the southern coast). Bourbon, and whiskey in general, does make for great winter drinks, but this strikes me as being more cool and refreshing than warming and savory. Now, I’ve modified their original recipe just a wee bit, tweaking it to match my taste (as any good drink-mixer should do). For one thing, I’ll provide measurements in ounces (why give measurements in cooking volumes?). Second, I’ve omitted the simple syrup, as it would result in far too sweet a drink. Third, the lemon juice has been upped by a 1/4 ounce. Stir the bourbon, liqueur, juice, and bitters together in a mixing glass. Fill a Collins glass or a pint glass with ice and add the mixture, topping it off with ginger beer and stirring to combine. Garnish (amply) with mint sprigs and slices of orange and lemon. This one comes out very well-balanced: right off the bat, you get a sample of every flavor. The ginger-bourbon combination is fantastic, and, if you’re searching for a simpler drink to experience this, make a Bourbon & Ginger Highball. Use ginger ale, or, even better, ginger beer, which is richer and spicier (on a separate note: I’ve never found a “named” version of that particular highball…maybe you have?). I honestly don’t know why simple syrup (1:1) was included in the original…between the ginger beer and the liqueur, not to mention the corny-sweet flavor of bourbon, you have ample sweetness. The Bitter Truth Aromatic Bitters also add a hint of, hmm, allspice, that meshes well with the ginger. If you like, you can serve it in mason jars, as they did, but I find these too bulky, with annoying rims, and well, they’re just cheesy. Now, if you wanted to tinker, I would shake up the bourbon, ginger liqueur, lemon juice, and bitters on their own and pour it into a chilled cocktail glass, garnishing with a lemon twist. I bet it would make a fine cocktail. One final note: it seems that the Shoo-Fly Punch may have been inspired by a previous drink, the Southern Ginger Cocktail. 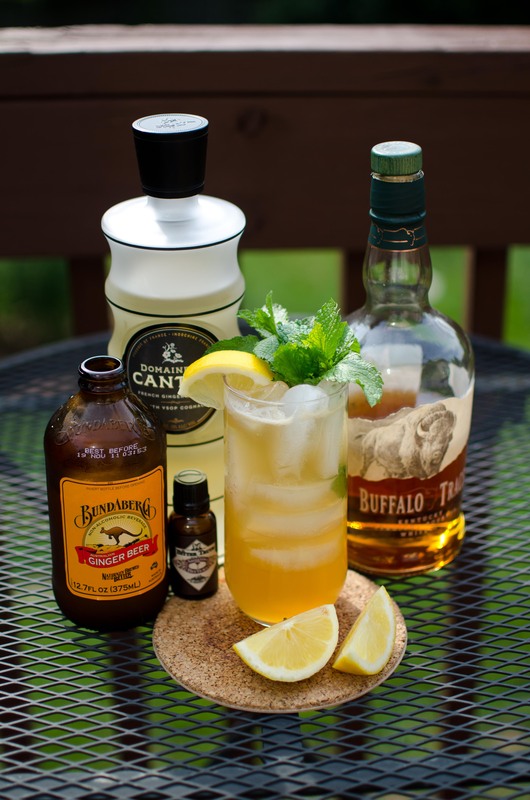 This entry was posted on June 29, 2011 by IJ Lauer in Bourbon, Domaine de Canton Ginger, Drink Recipe and tagged bourbon, cocktail, ginger, ginger beer, mint, summer drink.